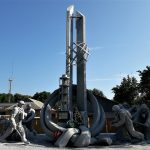 On April 26, 1986, disaster struck at the Chernobyl Nuclear Power Plant in the Ukrainian Soviet Socialist Republic—one of the 15 constituent republics of the Soviet Union. A series of technical and human errors during a routine test led to the worst nuclear accident in history. Over three decades later, the desolate areas around the power plant resemble a post-apocalyptic landscape. And I was there to see it. 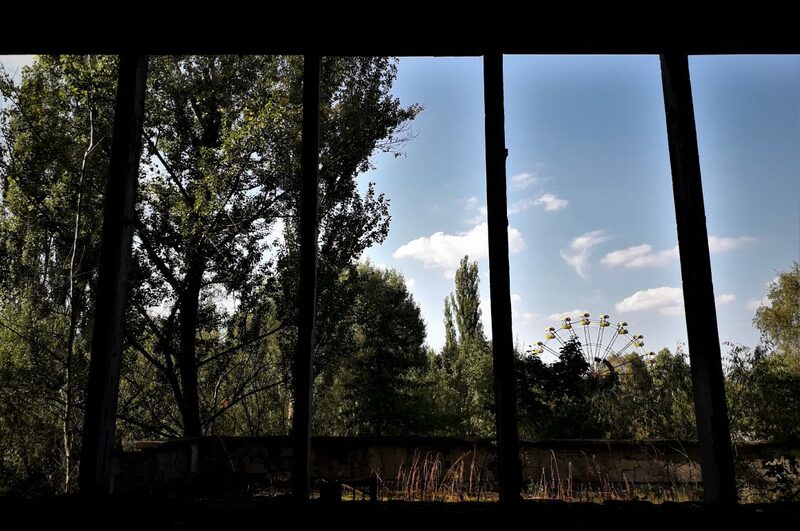 It’s not that I wanted my trip to end, but I was looking forward to returning to Kyiv for the last leg of the adventure for a very special reason: I was finally going to set foot inside the Chernobyl exclusion zone. And to make it all the more memorable, I was going to go there with one of my favorite travel bloggers and (up until that point) internet friend—the amazingly talented Noora from Wanderella Story. Noora and I both had wanted to visit the site for a very long time. 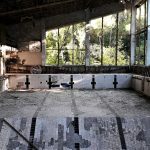 I always found Chernobyl very interesting—not even as an enthusiast of “Dark Tourism” but rather of history. 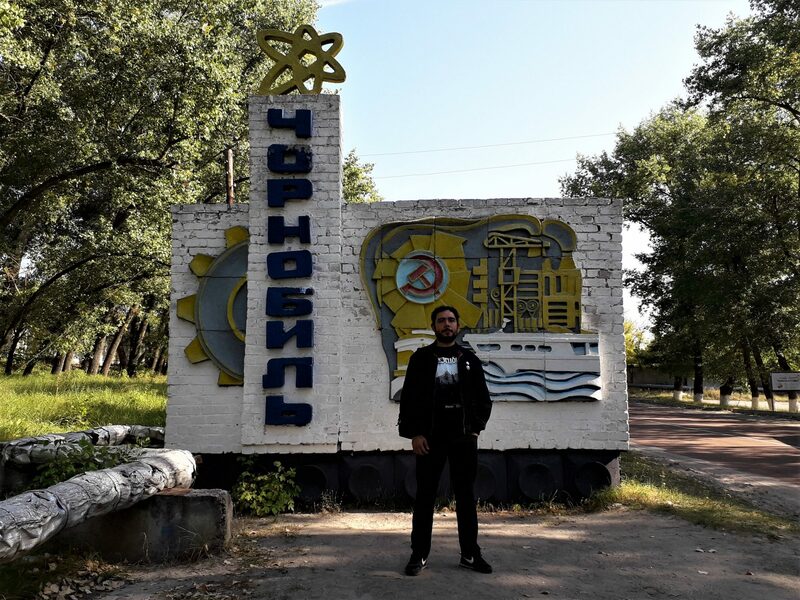 I actually took a couple of courses on the environmental history of the Soviet Union as well as Soviet history in general while in grad school, and obviously delved deep into the Chernobyl disaster. 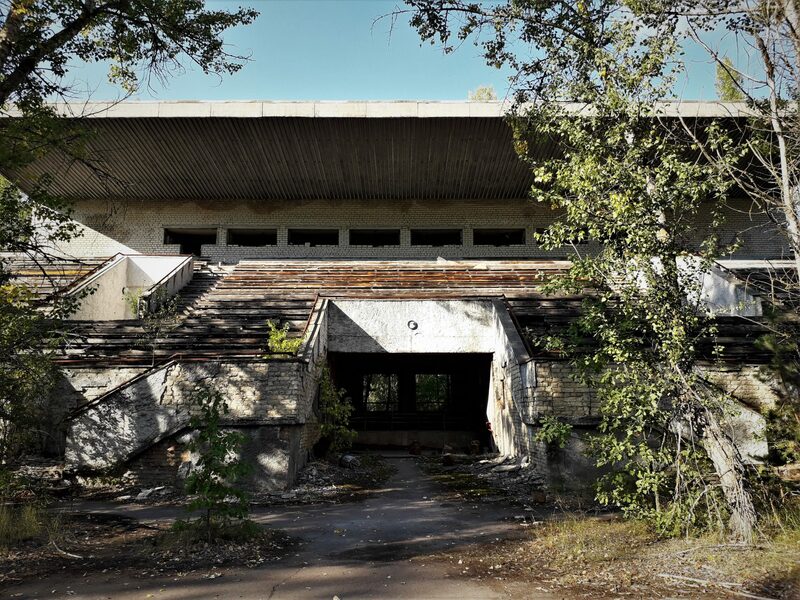 Going to Chernobyl meant, for me, seeing the site of an environmental and a political catastrophe, as both the disaster and the Soviet government’s equally disastrous response to it also set in motion a wave of environmental protests in other Soviet republics—which also contained a component of national independence. Therefore, Chernobyl is also a site that represents the decay of the Soviet Union and is therefore very relevant in historical terms. 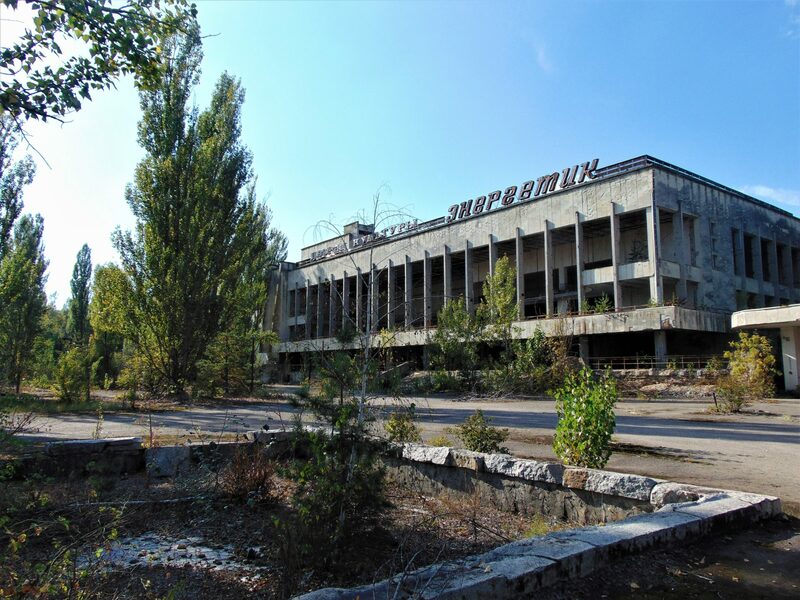 The name Chernobyl is generally applied to the exclusion zone in general, as it was also the name of the nuclear power plant itself. 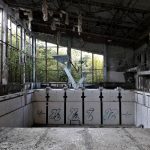 However, Chernobyl is actually the name of a small town that had about 14,000 inhabitants at the time of the catastrophe, and is but one of the approximately 200 towns and villages inside the exclusion zone, which covers an area of approximately 2,600 square kilometers. 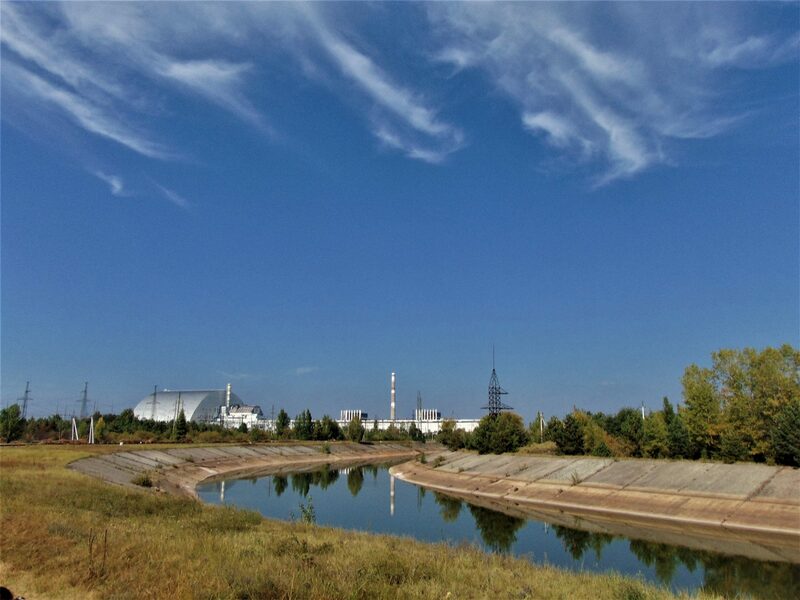 Chernobyl is located about 14 kilometers from the nuclear power plant itself. 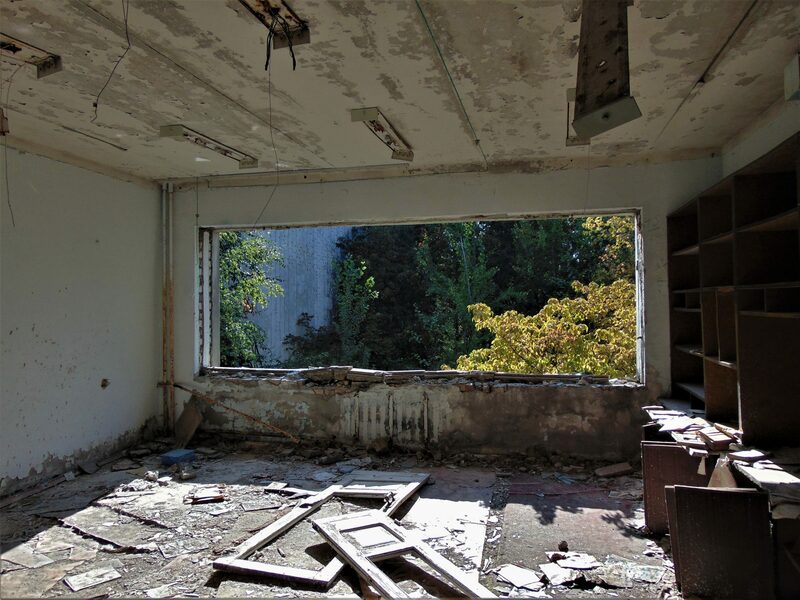 The main settlement in the area was the city of Pripyat, which now lies completely abandoned. 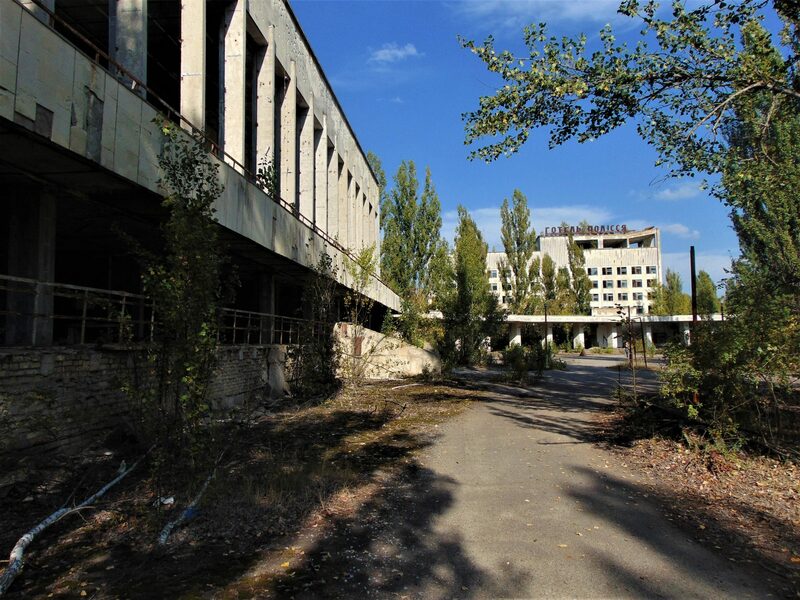 Pripyat, a model modern Soviet city built for the workers of the plant in 1970, was home to almost 50,000 people at the time of the accident. 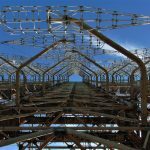 The plant itself is located only roughly five kilometers from the city and easily visible from its rooftops. The nuclear power plant itself is off-limits. It has been decommissioned and no more atomic energy is produced at the site. However, there is still ongoing work to completely dismantle it as well as monitor radiation levels. There is also a new site producing solar energy there. April 26, 1986. The plant’s staff performed a routine test on reactor No. 4 at the Lenin Chernobyl Nuclear Power Plant. 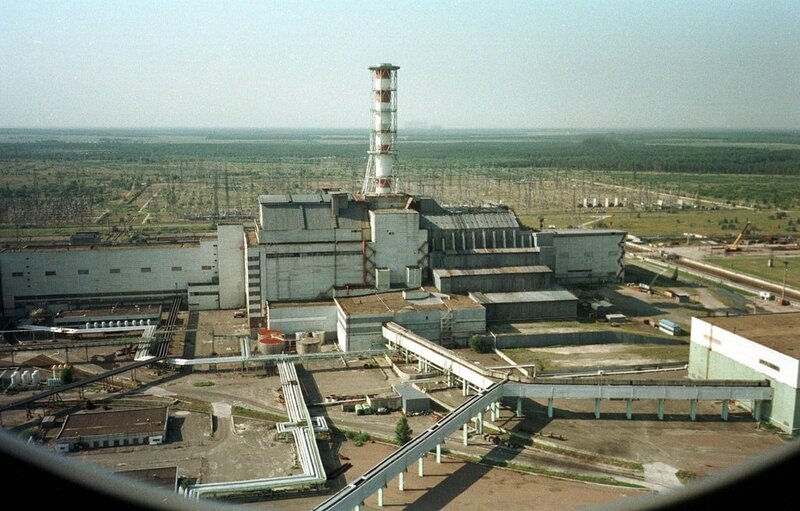 However, a series of human and technical errors led to an explosion in the reactor. The blast sent highly radioactive chunks of graphite flying into the air. 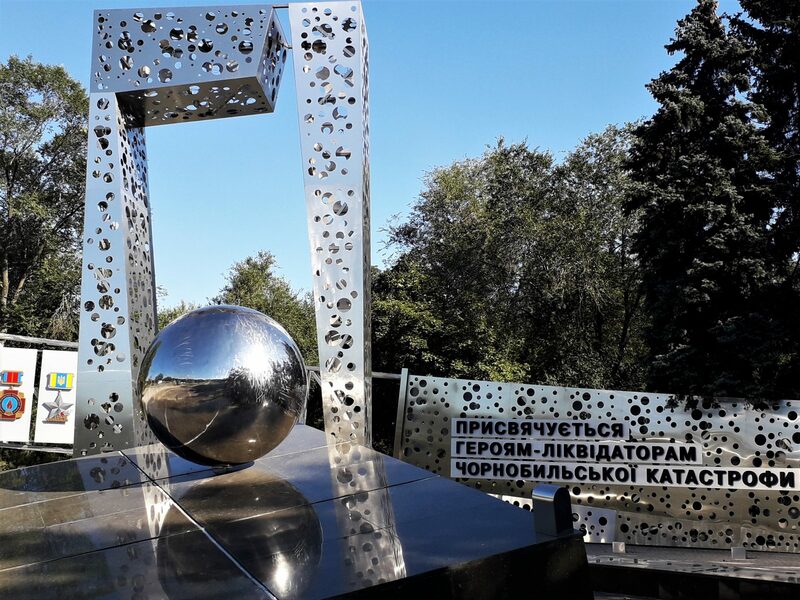 The explosion released an estimated 50 million curies of radiation into the atmosphere, which would be equivalent to about 500 times the amount of the Hiroshima bomb and contaminated over 50,000 square kilometers of land in Ukraine alone. 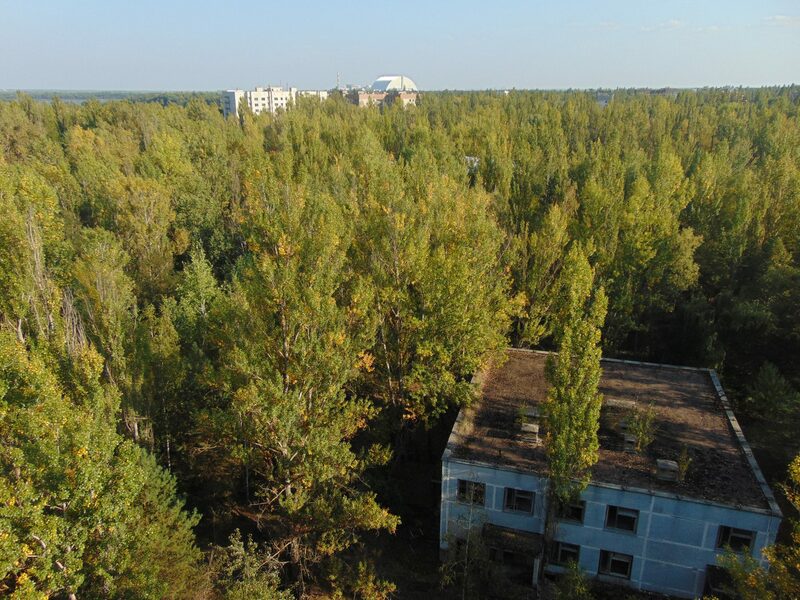 In typical Soviet fashion, the government was notified of the accident but didn’t evacuate the population of the exclusion zone until the following day—thereby exposing almost 90,000 people to lethal levels of radiation. 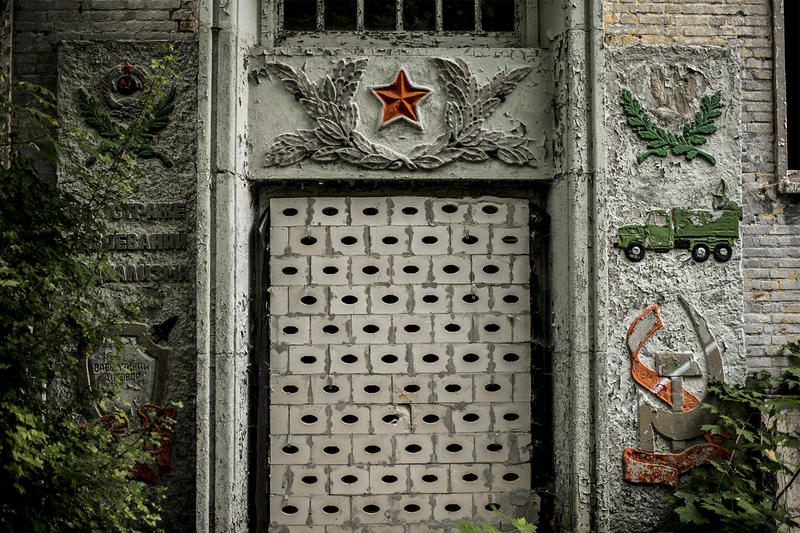 At first, the Soviet Union did not admit that anything had happened in order to save face. 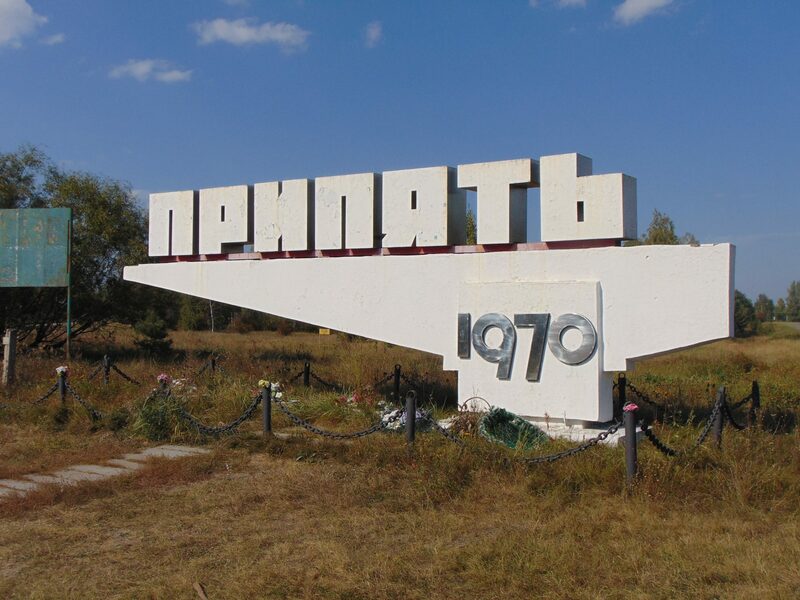 The inhabitants of Pripyat and the surrounding areas were resettled to a town called Slavutych, which was erected basically overnight for them. Still, they were first kept in the dark as to the reasons why—just like the rest of the Soviet Union and the international community. 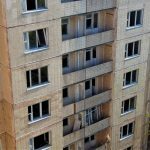 However, a few days after the explosion, Swedish scientists detected higher levels of radioactivity in the air—strong winds had carried the particles in a very short time all the way north to Scandinavia. 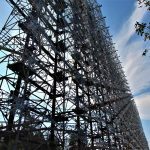 Due to the direction of the wind, it was assumed that something had happened somewhere in the western part of the Soviet Union. 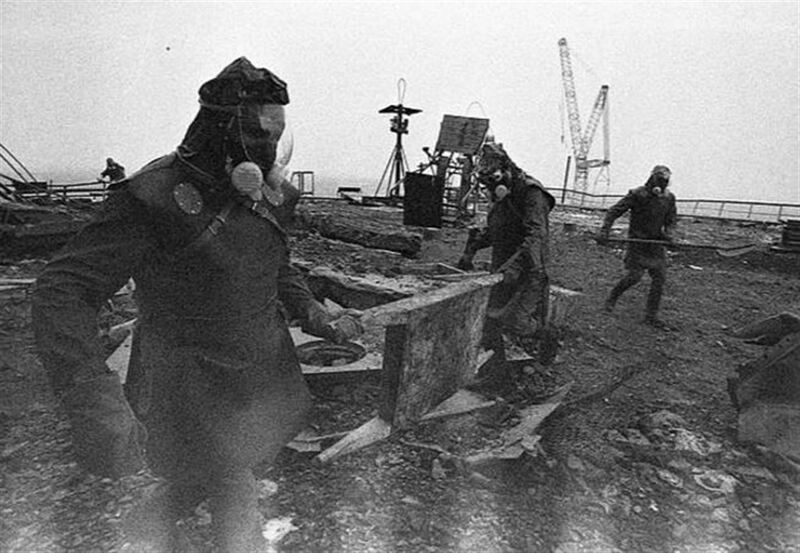 The Soviet government sent in squads to decontaminate the area but also to remove radioactive debris; the latter task was done at first by robots, but their circuitry failed in a matter of hours due to the radiation. The Soviet government decided that it would be more cost-efficient to send in people to do the job instead of constantly repairing their robots. The men forming these squads became known as “liquidators,” and it is thanks to their sacrifice that the negative impact of the catastrophe was not greater. Unfortunately, the liquidators were ill-equipped and deployed for longer periods than tolerable in terms of exposure, due to which many died or had to struggle with long-term health problems. Life is still hard for the liquidators today: In addition to health problems, many have difficulties getting their pensions or receiving adequate medical care. All in all, approximately half a million people were recognized as liquidators. 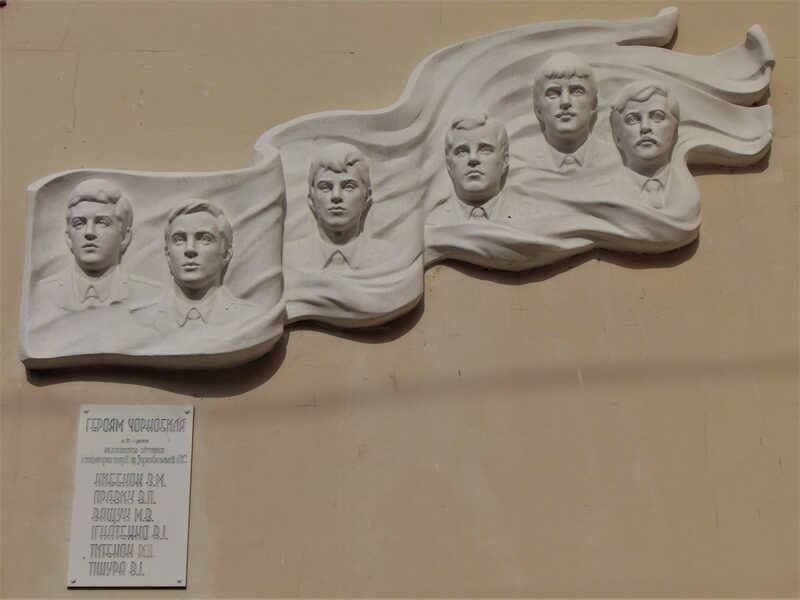 I came across a number of monuments erected to the memory of the liquidators in cities like Kyiv and Zaporizhia. More attempts have been made to raise awareness of their sacrifice and current plight. 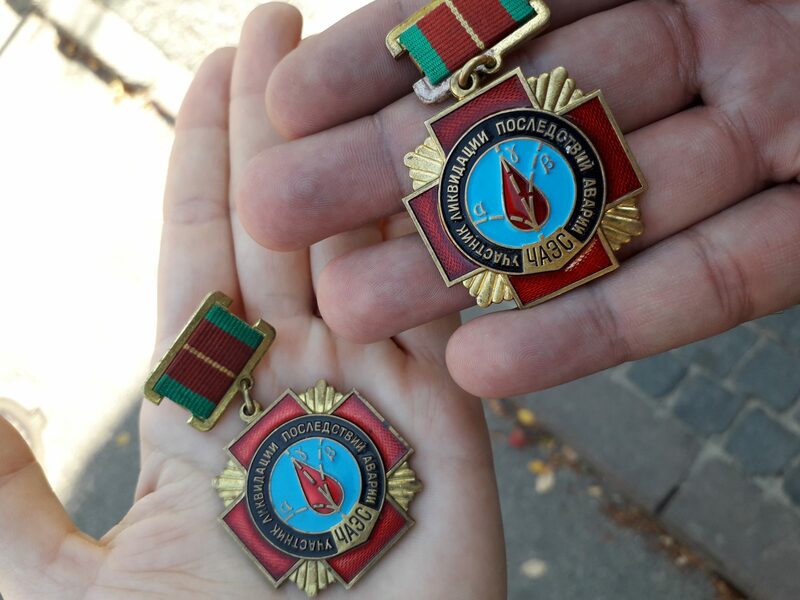 They all were awarded a medal for their service, which can now be acquired online or in flea markets in Ukraine for between 200 and 300 hryvnia (about 7 to 9 euros). Noora and I each got one. 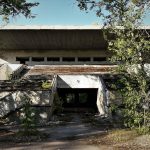 We visited Chernobyl with a tour operator. The tour cost about 60 EUR per person and lasted the whole day. Noora and I left our rental apartment in the city center and walked to the meeting point. We then got in a car together with 17 other visitors, the driver (who spoke no English), and a stocky guy with a mohawk who sat at the front but didn’t say a single word during the whole two-hour trip from Kyiv to the first checkpoint before crossing into the exclusion zone. The first thing that we noticed was that the area is not deserted. Off-duty soldiers went in and out of a store. There were other signs of life, such as parked cars and clothes drying in the late summer heat. We were within the first ring of the exclusion zone, which extends 30 kilometers from the nuclear power plant. There are still people who live in the exclusion zone because they either refused to leave or they work there. There are also people who have resettled in the areas in or close to the exclusion zone. Sadly, this also includes refugees from the current armed conflict in Eastern Ukraine. Our first stop was the actual town of Chernobyl itself, which is roughly 20 kilometers away from the first checkpoint. 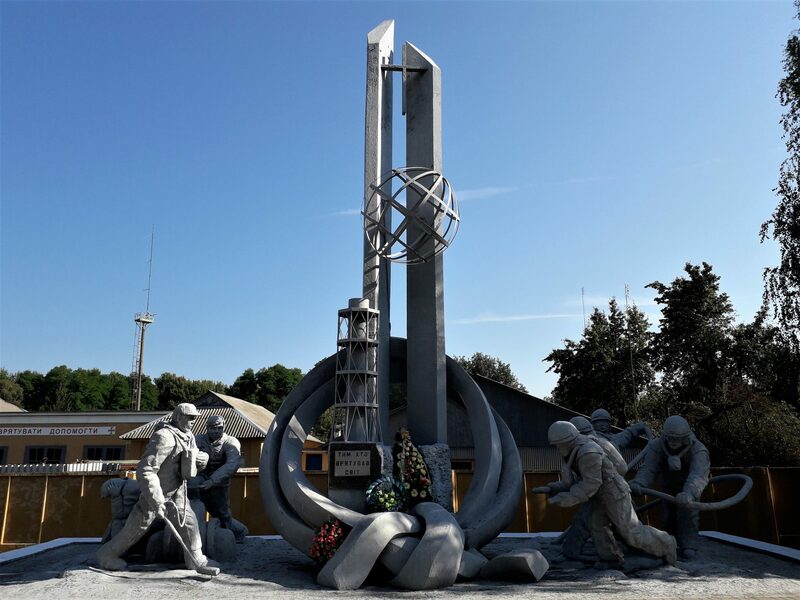 There, we saw a monument to the firefighters who first rushed to the plant after the explosion. We also saw the rusting robots first used to scoop radioactive debris from the roof of the reactor. We approached a few buildings, including a school, which we were able to explore. In some areas, the radiation levels were particularly high. Our guide told the guys carrying Geiger counters to put them next to a particular tree; the devices started emitting a loud, constant sound. “That’s a hotspot,” our guide casually said. What was incredible was that we were just a few meters from the tree, and the devices were quiet. That means that radiation levels can go off the charts and go back to normal within very short distances. After driving a good 15 kilometers from the town of Chernobyl, we arrived at a heavily forested patch. Noora and I talked about the very real danger of getting bitten by a radioactive tick. 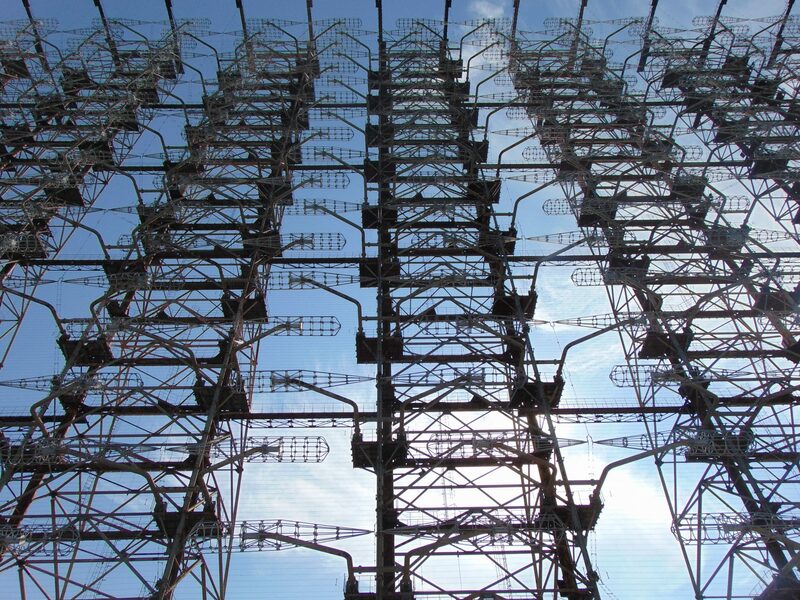 Then, past the gates of an old military checkpoint, we saw a monstrous metal structure towering far above the treeline. 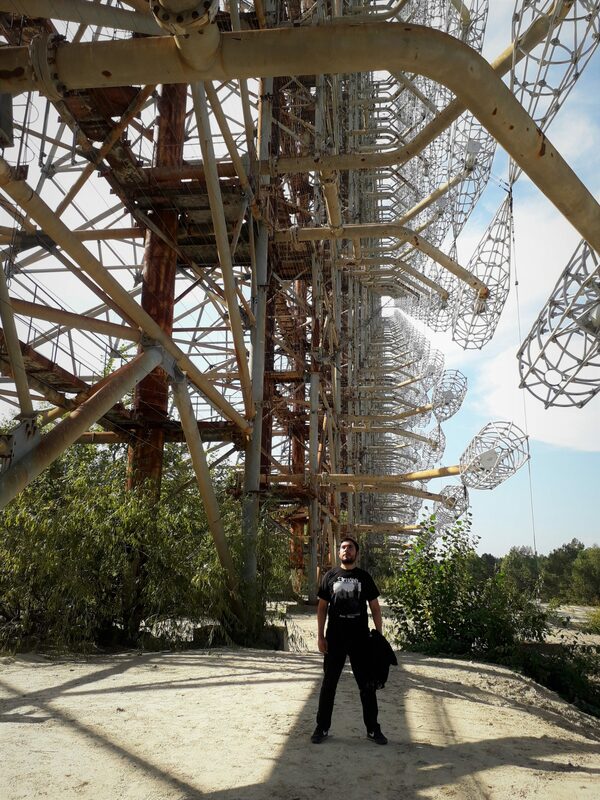 We had made it to the former Duga-1 radar station. 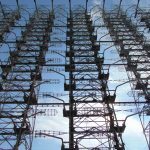 We walked toward the gigantic steel structure, which is actually the radar’s antenna, and quickly found ourselves in its shadow. From underneath, we could see just how big it actually is. Noora and I both found the sheer size of the structure overwhelming. 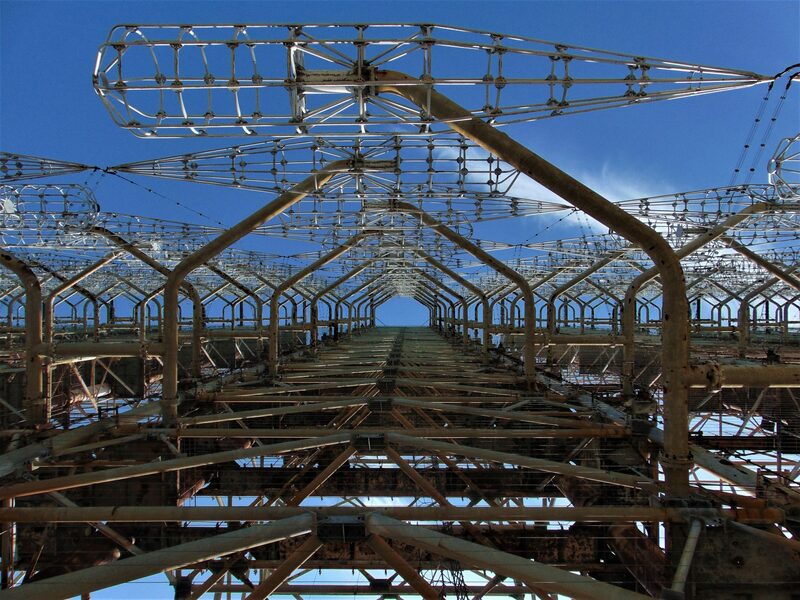 The Duga radar has an estimated length of 230 meters and a height of 90 meters and saw service from 1976 until 1989. It was time to move on. Our next stop: the Chernobyl Nuclear Power Plant. Next up was the nuclear plant itself. Taking pictures of the plant is prohibited, and anybody near it had to wear long sleeves for extra protection. We had to look at it from the parking lot and, hadn’t it been for the monstrous metal roof of the sarcophagus, the plant would have looked like any other industrial site. And while the sarcophagus is huge but rather unassuming, it hides something ominous—the reactor no. 4. Today, there are still almost 250 tons of highly nuclear material within the damaged reactor. Because of that, the authorities set out to bury its carcass under a pile of concrete and steel. 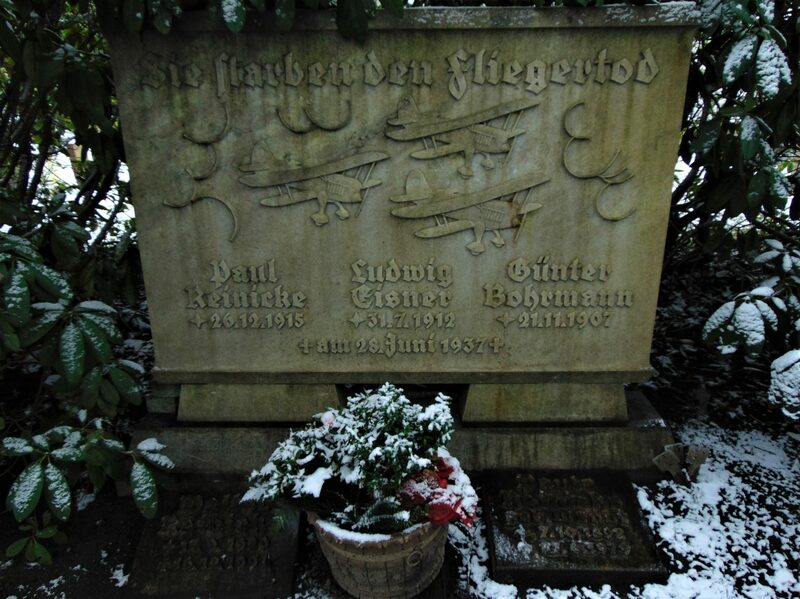 The sarcophagus, with its ominous sounding name, was completed in late 1986. 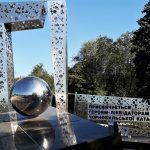 The sarcophagus itself was then covered by the massive steel structure that we saw, which was completed in 2016. 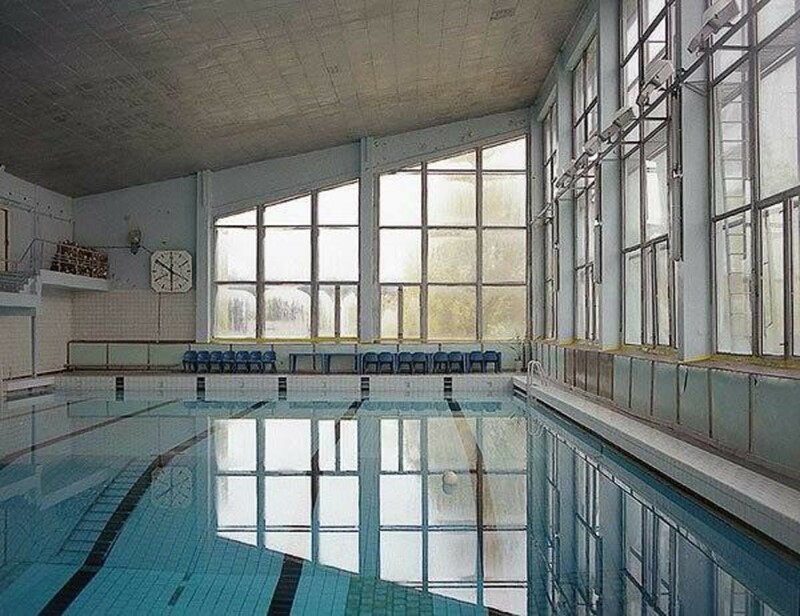 The Chernobyl Nuclear Power Plant before the accident. 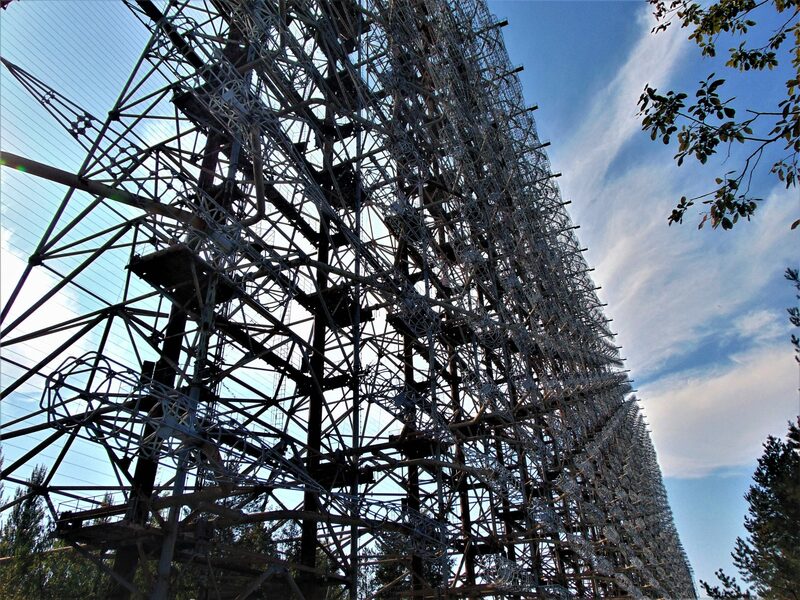 When looking at the structure (officially called Chernobyl New safe Confinement) I could only think of the dormant monster that broods inside, which then reminded me of H.P. Lovecraft’s ancient ones—especially as the sarcophagus will only stand 100 years before the merciless radiation consumes it from the inside. On that abnormally warm September day though, it was business as usual for the people who work at the plant. The parking lot itself was full of cars, many with German license plates. Scientists (or people pretending to be scientists by wearing white coats) stood outside casually talking. It was around noon, and we joined the employees of the plant at the cafeteria for lunch. There are two huge radiation scanners at the entrance, which resemble metal detectors. I got a meal including borsch, some meat patties (I assume it was chicken?) and pasta, and took a glass of kompot to wash it down. Two friendly stray dogs played outside the cafeteria. Chernobyl is home to many dogs but also wildlife such as wolves and foxes. Dogs, however, are not shy to approach visitors. I unfortunately didn’t have time to play with them as the final destination of our trip beckoned. 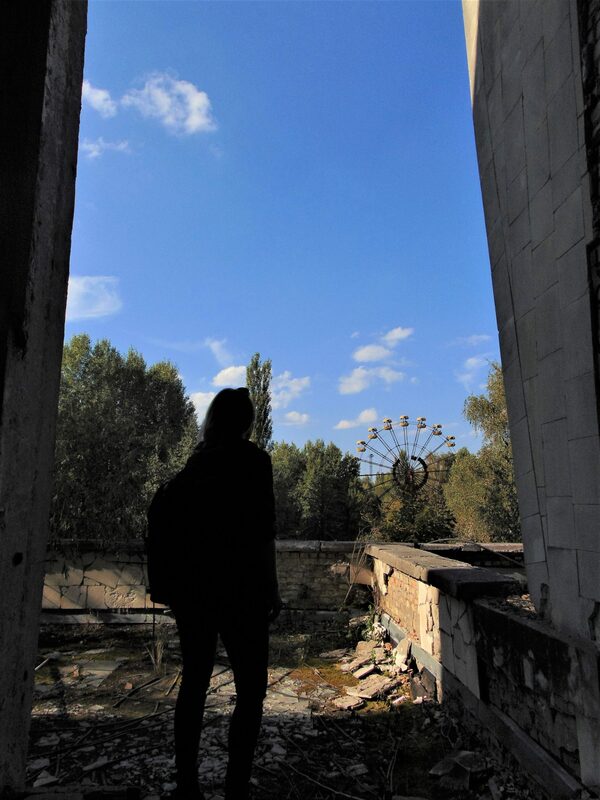 It was time to see the abandoned city of Pripyat. 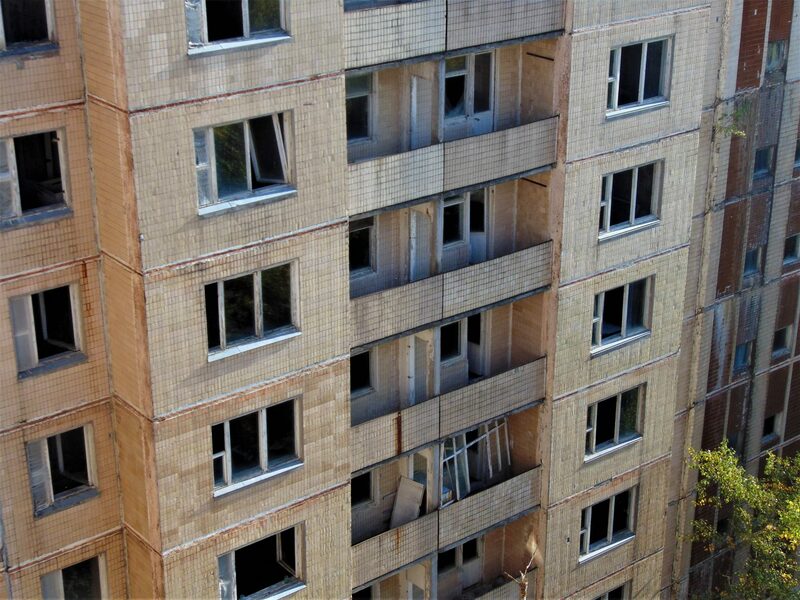 Welcome to Pripyat! Population: 0. 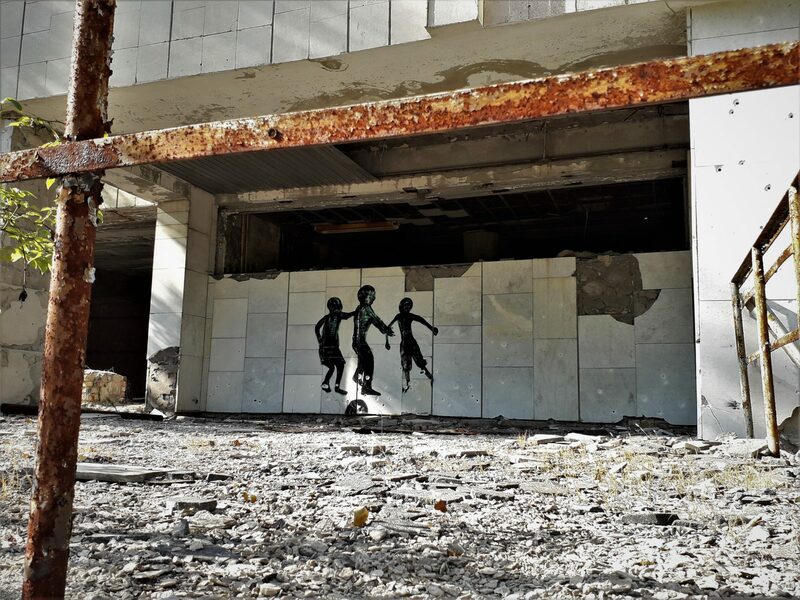 The highlight of every visit to Chernobyl is the abandoned city of Pripyat. 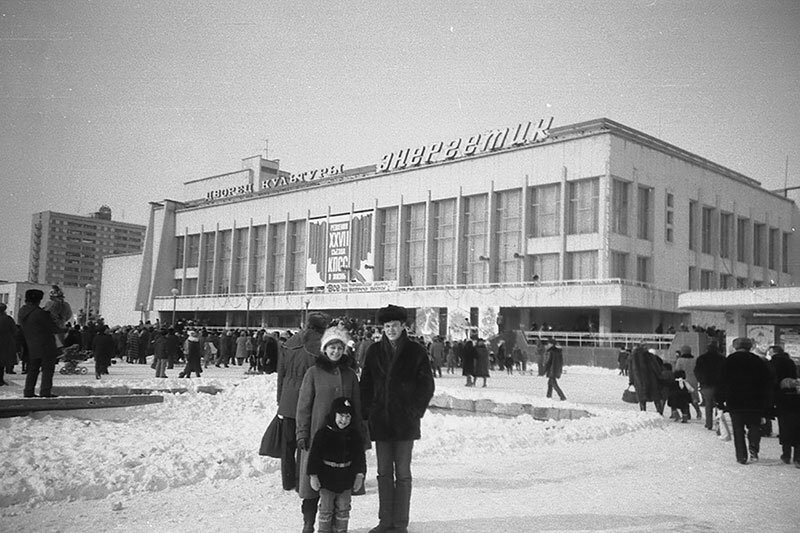 The city housed the inhabitants of the Chernobyl power plant, which is only roughly 5 kilometers away, in 1970. Right before the accident in 1986, the city had almost 50,000 inhabitants—that is almost 50,000 more than today. On our way into the city we made a quick stop to see the iconic entrance sign. 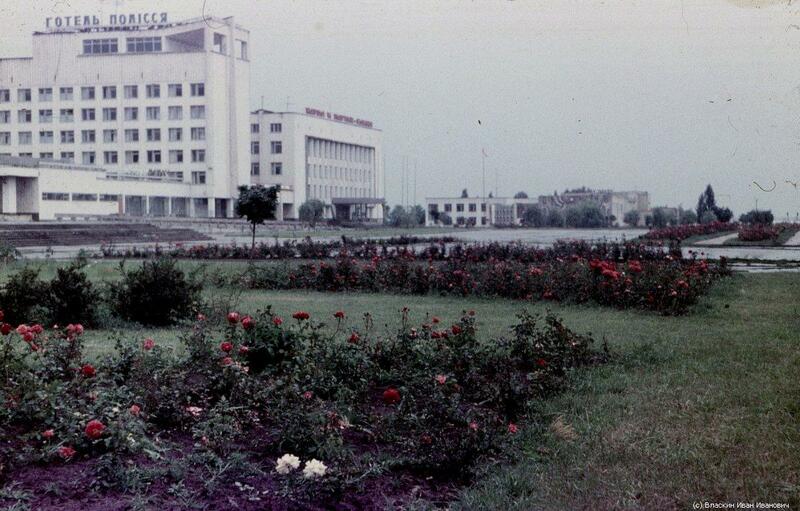 We then continued onto the downtown area and saw the Hotel Polissya. 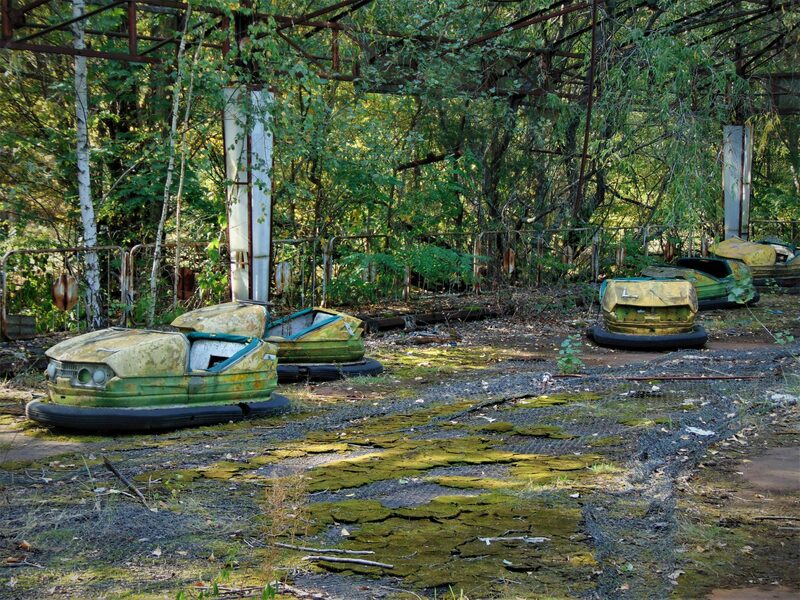 Up next was the abandoned amusement park, which was never officially put in use, as it was scheduled to be inaugurated at the beginning of May 1986—about a week after the disaster. 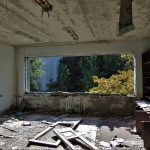 It was not until Pripyat that the experience started to feel real—paradoxically, in the most surreal of settings. 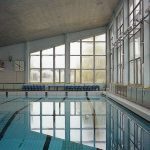 The desolation of the place was almost oppressive—so much that I forgot I was sharing the experience with a bunch of strangers. 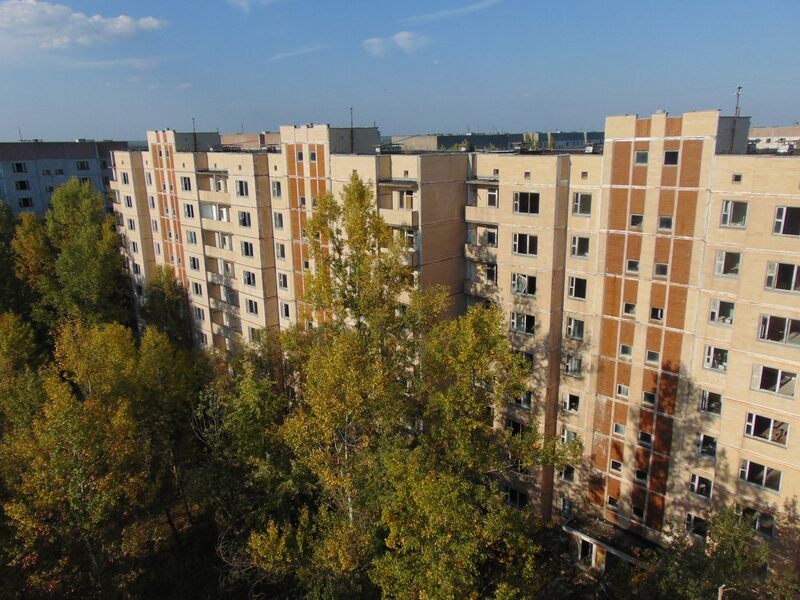 As I walked through the downtown area, I realized that the buildings in Pripyat were built to last and impress; the Palace of Culture, with its imposing facade, is one example of this. The setting overwhelmed me: A city devoid of people, steadily falling apart while nature slowly reclaims the area. We were in places where people ate, went out and practiced sports. 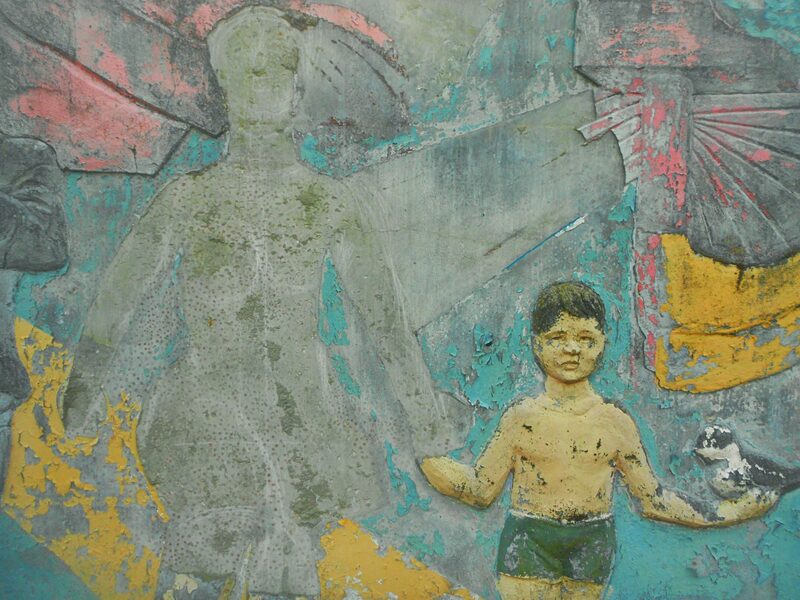 I thought of families looking forward to the grand opening of the Pripyat amusement park. 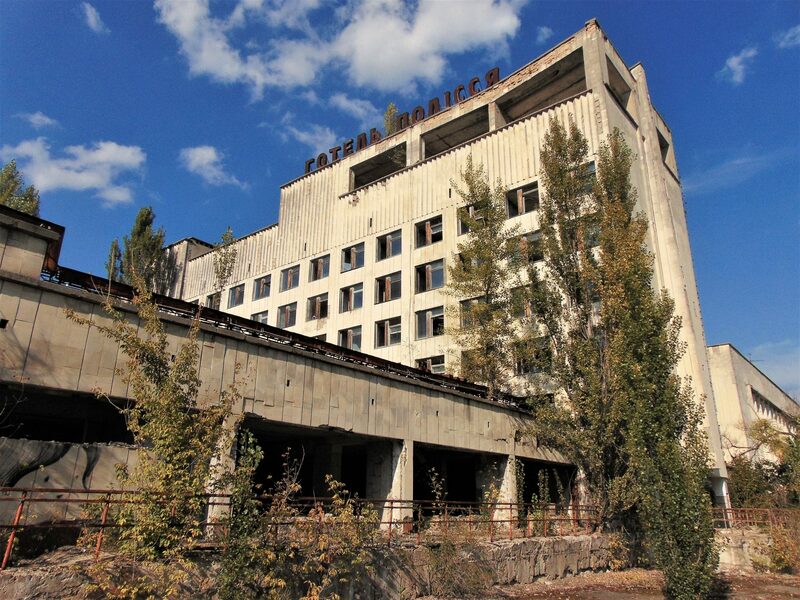 Pripyat was an affluent city. For its residents, living there was a privilege. In the late sixties and early seventies, society considered atomic energy to be the marvelous key to achieving prosperity. 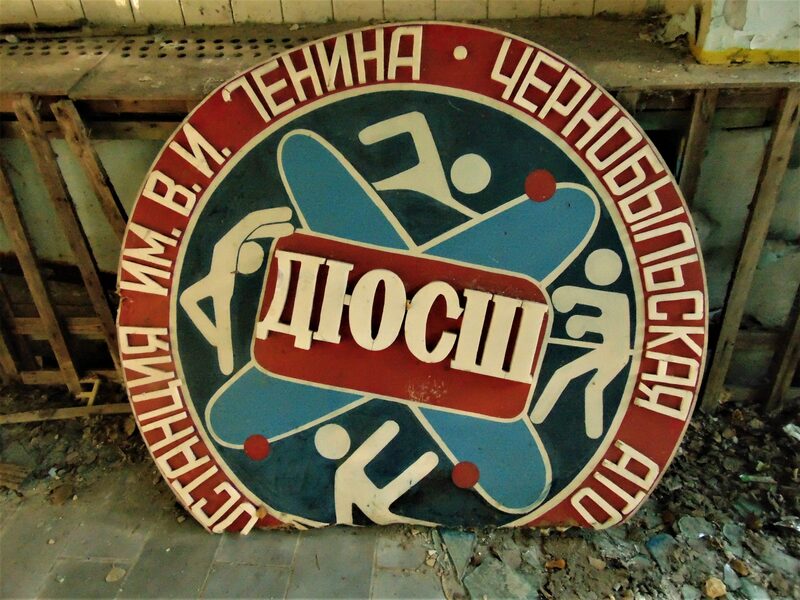 Poets wrote about it, and the Soviet artistic establishment even staged theater plays about the power of the atom. I then thought of a mosaic I had seen right at the beginning of my trip that symbolizes this. 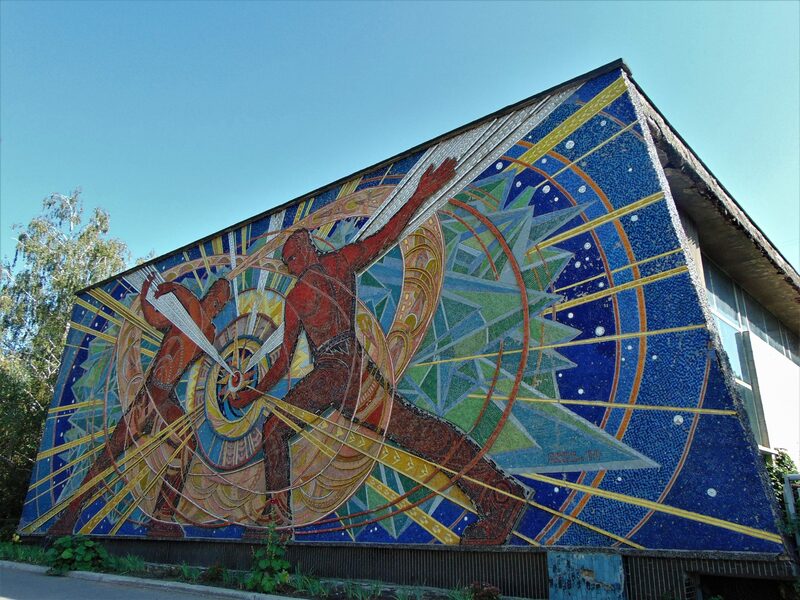 The mosaic, from 1976, still graces the facade of the Institute for Nuclear Research in Kyiv. 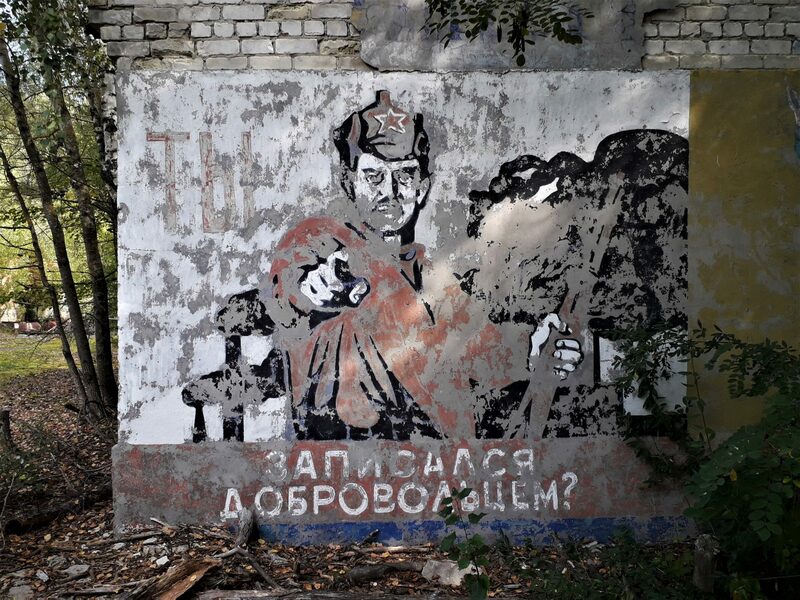 Our guide told us that he would show us his favorite place in Pripyat. He then took us to a residential area and said we had 20 minutes to go up to the rooftop. 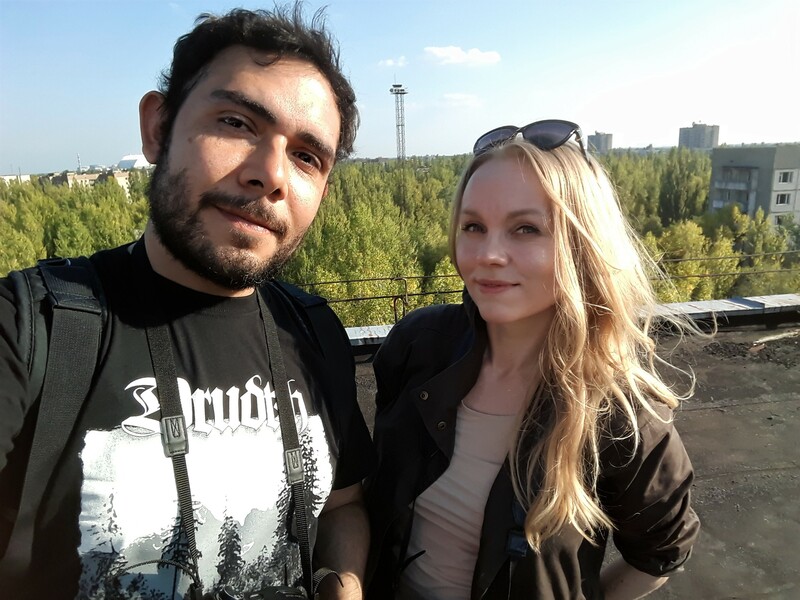 Noora and I took the opportunity to go all the way up and see Chernobyl from above. From the rooftop, we could see the sarcophagus glaring ominously in the distance. “Guys, we can get some beers at the store, but promise me you won’t open them until we have passed the checkpoint.” There was a loud round of applause. We drove to the store and, after picking up some beers, we got on our way. Before leaving the exclusion zone we again underwent the radiation scanner twice. Immediately after we got on our way again, the sound of bottle caps popping rung out in unison. After two hours, we were back in the Ukrainian capital. For the most part it is. There are many people who work and even live in the area. However, the exclusion zone is still contaminated. The people who work there do not move outside of areas that have been decontaminated. They also don’t spend enough time there for the radiation levels to have a drastic impact on their health. 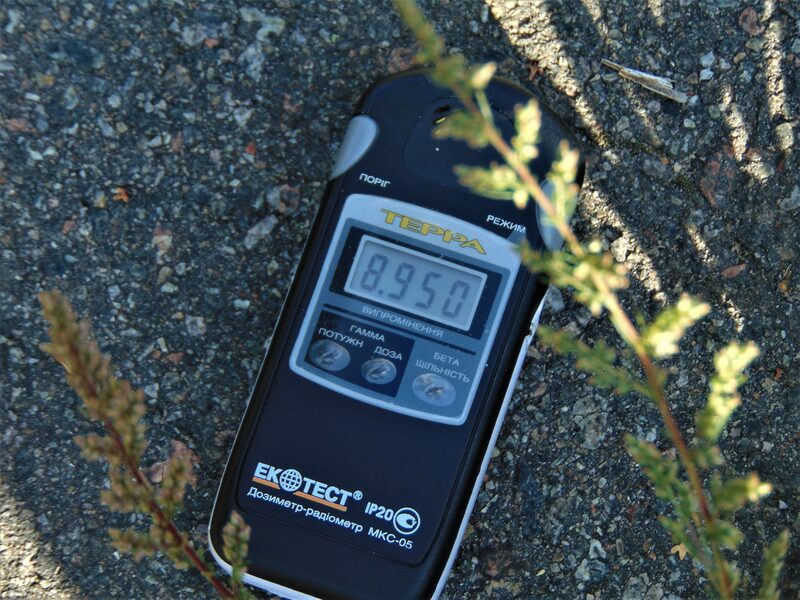 There are radiation hotspots, and radiation levels can increase drastically within very short distances. Chances are that you will go with a group, in which case I would pay close attention to your guide. Absolutely. 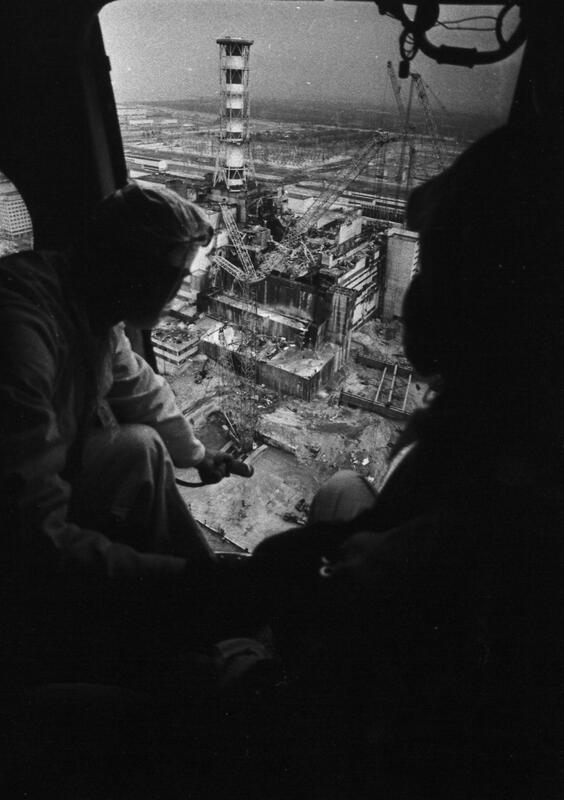 Chernobyl is a place of immense historical significance that everybody should see. Also, its majestic disrepair, seen against its catastrophic background, make the temporality of things and the power of nature tangible. Furthermore, the place is visually incredible. 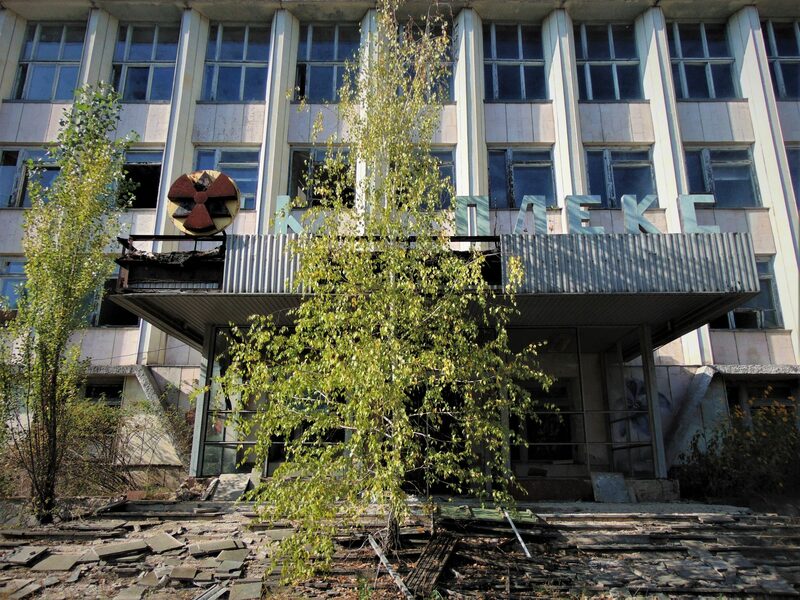 For whatever reason you want to go to, Chernobyl is definitely a place worth visiting. 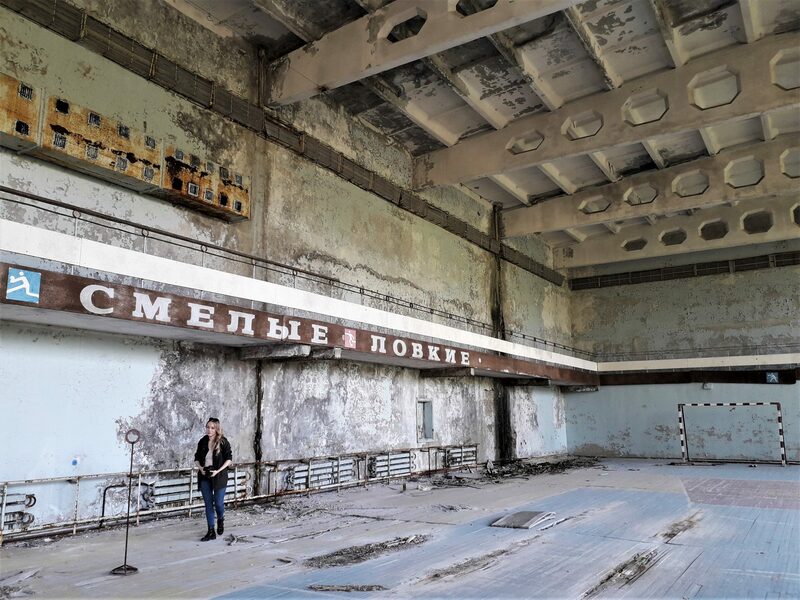 Chernobyl is also, for many, the first and maybe only time they’ll experience urban exploration—albeit in a controlled environment. Many deride group tours as not being adventurous enough, but in the case of Chernobyl I don’t think there’s a point in sneaking in illegally to see the place, especially considering the immense distances between sites and the fact that, well, you can simply go in legally and spare yourself the hassle—although I can imagine it is pretty cool to sneak in to attend an illegal rave somewhere in the exclusion zone with a group of stalkers. 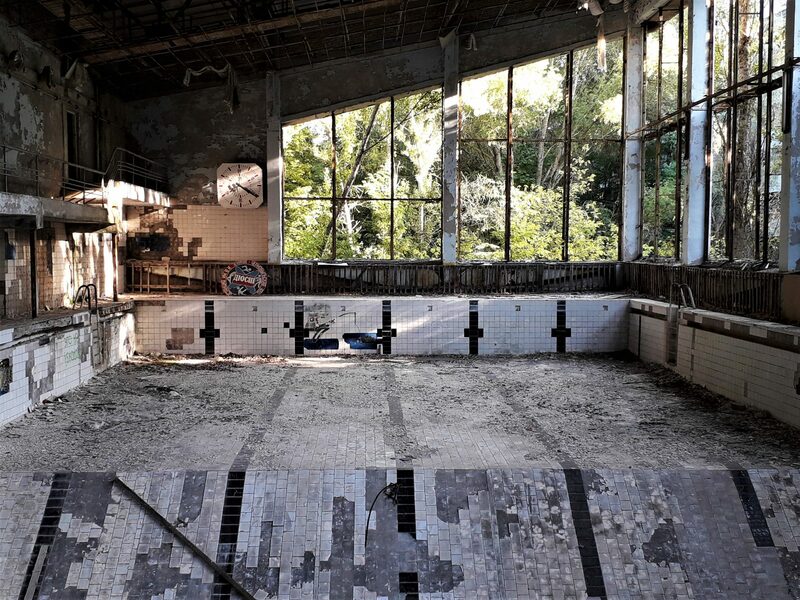 Chernobyl is a cash cow for the Ukrainian tourism industry. 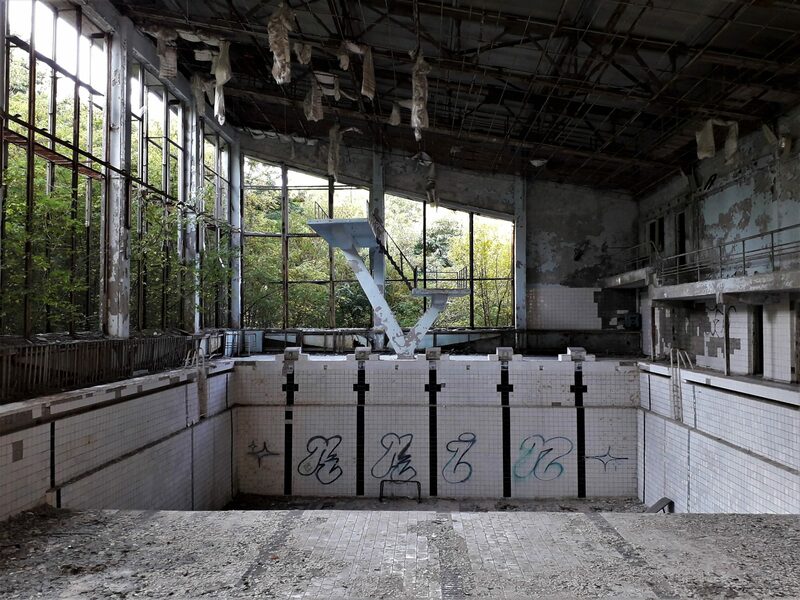 I for one am glad that visitors who want to see Chernobyl are creating tourism jobs in Ukraine. Plus, the exclusion zone is, like Noora put it, a huge open air museum worth seeing. Visit it with respect. I hope you enjoyed this article! I put a lot of time and effort into it and I really hope it does Chernobyl justice. If there’s anything else you’d like to know feel free to shoot me a message! 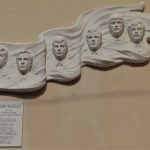 For general information about visiting Ukraine check out my detailed guide here.